A Scots singer from Kyleakin on Skye will be among the six competing in the grand final of BBC Radio Scotland’s Young Traditional Musician of the Year 2017, which is being held in Glasgow next month. Ella Munro has made it through along with five other talented musicians to the prestigious showcase, being held in Glasgow City Halls on Sunday 5th February as part of the annual Celtic Connections festival. 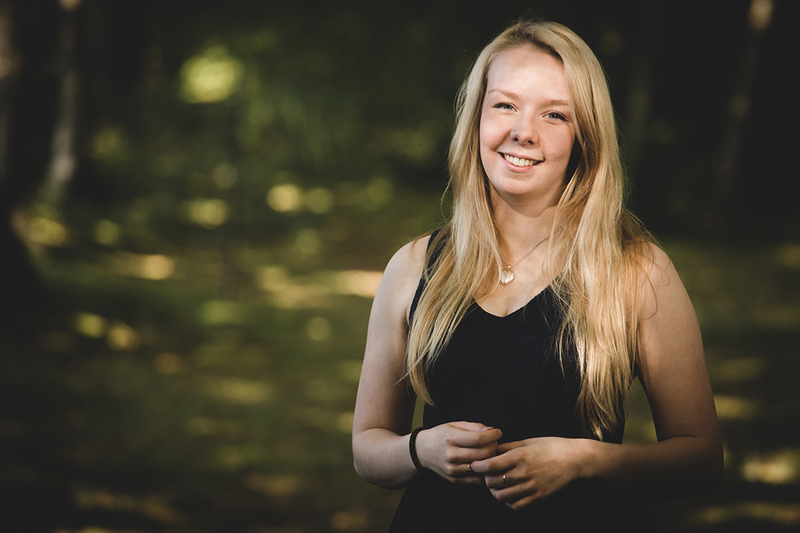 Ella (20) is a former pupil at the National Centre of Excellence in Traditional Music at Plockton High School, and is currently studying Scots song at the Royal Conservatoire of Scotland. She sang with a specially-formed choir, the Youth Music Voices, as part of the 2012 London Olympics and has toured the US as part of the National Youth Choir of Scotland, performing at Independence Day celebrations in Chicago last year. She hopes to release her own EP this year, and is looking forward to some live tour dates. In the longer term her ambition is to become a secondary school music teacher. The other finalists for the award are Charlie Stewart, a 21-year-old fiddle player from Glenfarg in Perthshire, who in 2016 reached the semi-finals of the BBC Radio 2 Young Folk Awards; Erskine piper Dougie McCance (24), who is studying Applied Music at the University of Highlands and Islands; Grant McFarlane, a 26-year-old accordionist from Paisley who first formed his own ceilidh band when he was only 12; 19-year-old Scots singer Iona Fyfe from Huntly, whose family began teaching her Doric poetry aged five, and Kim Carnie, a 23-year-old Glasgow-based law graduate from Oban who specialises in Gaelic song. Presented by Bruce MacGregor the BBC Radio Scotland Young Traditional Musician of the Year 2017 final will be broadcast on Radio Scotland from 5pm-8pm on Sunday 5th February. Live performances will also be filmed and posted on the BBC Radio Scotland website.